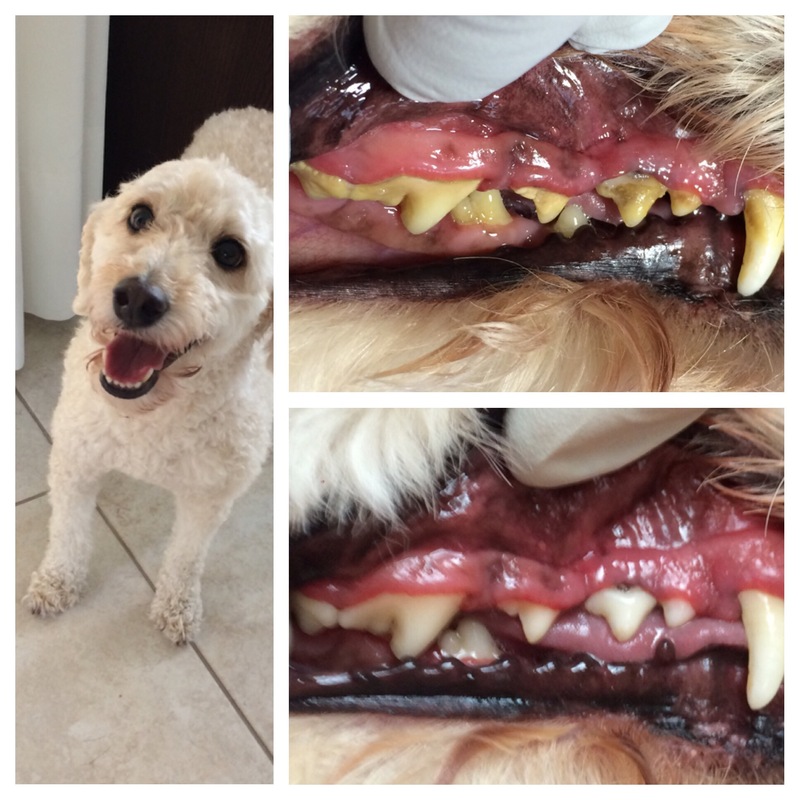 Eighty-five percent of all pets have periodontal disease by the time they are 3 years of age. Dental disease can result in bad breath, painful chewing, and tooth loss. Bacteria under the gum can travel to the heart, kidneys, and liver. 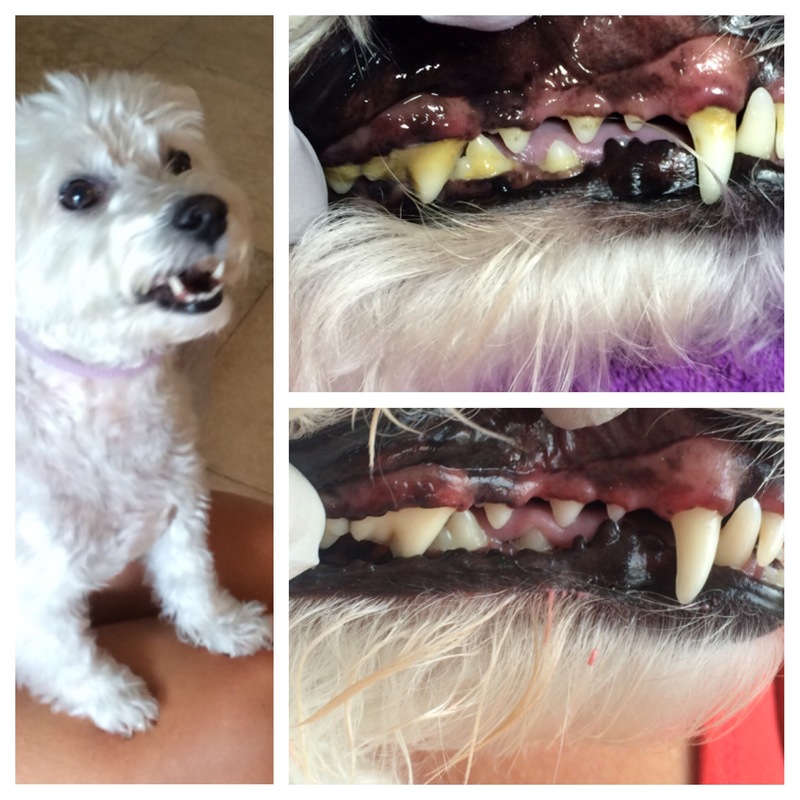 Professional dental cleanings are necessary to remove plaque and tartar from your pet’s teeth. 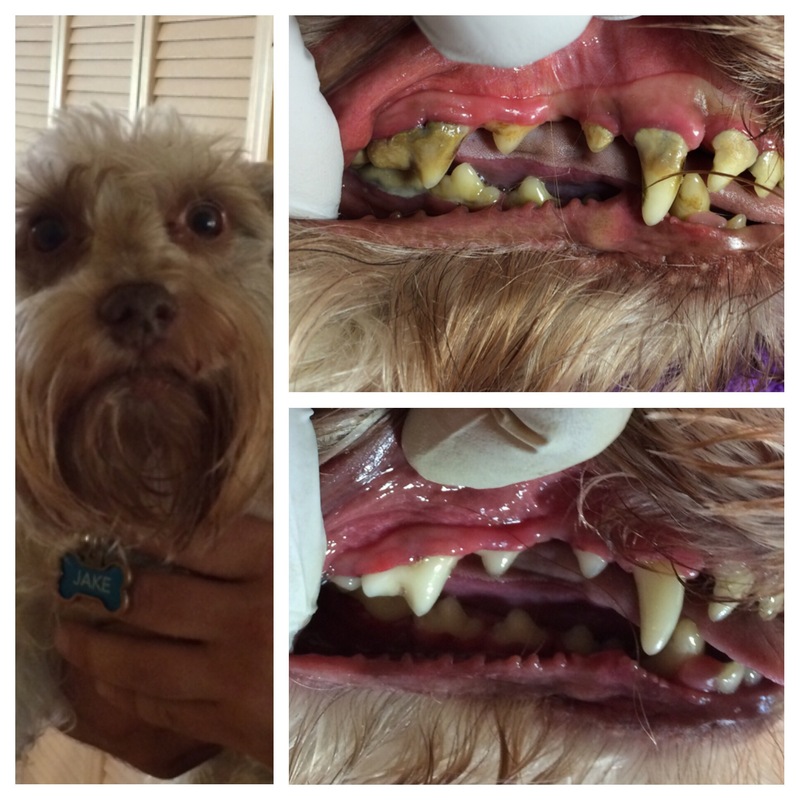 Don’t wait until your pet develop too much tartar and roots get exposed. 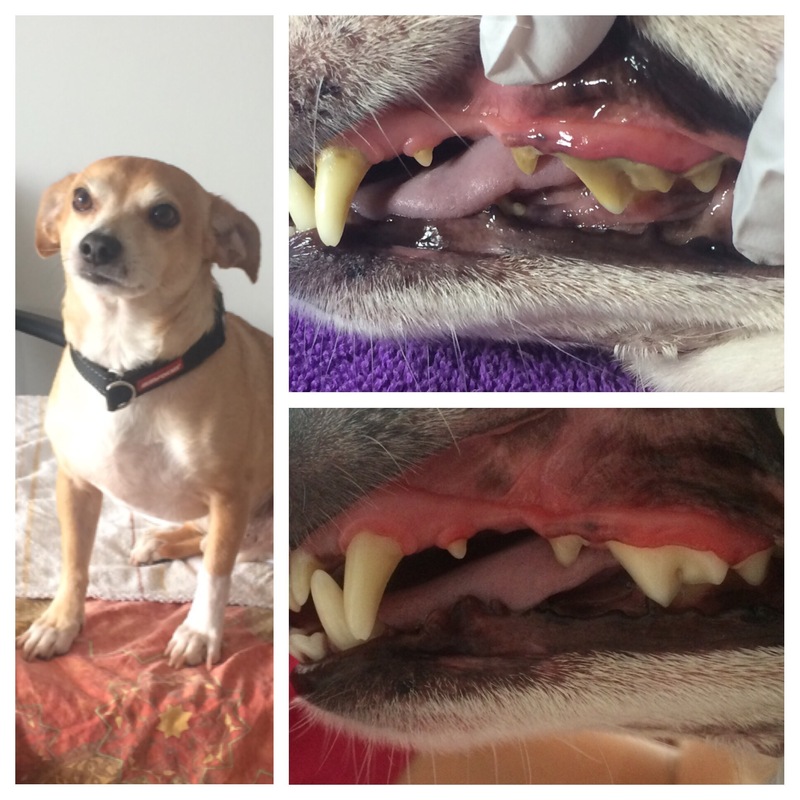 Here are some pictures of our last patients. 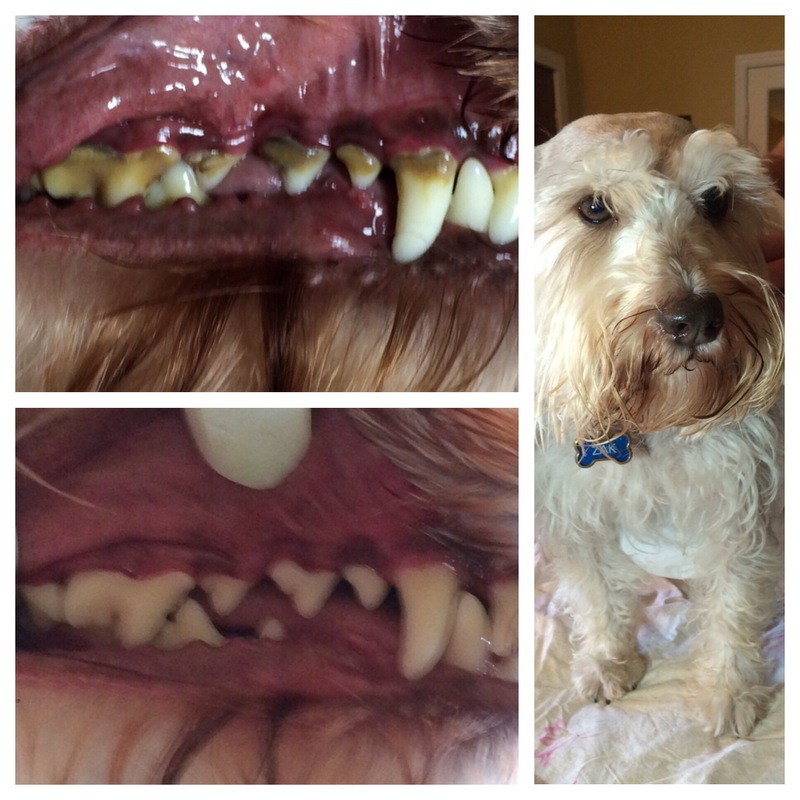 The Schnauzer on the forth picture is only 2 years old and already develops severe periodontal disease.